Christmas Siberian Kittens available in a Rainbow of colors. 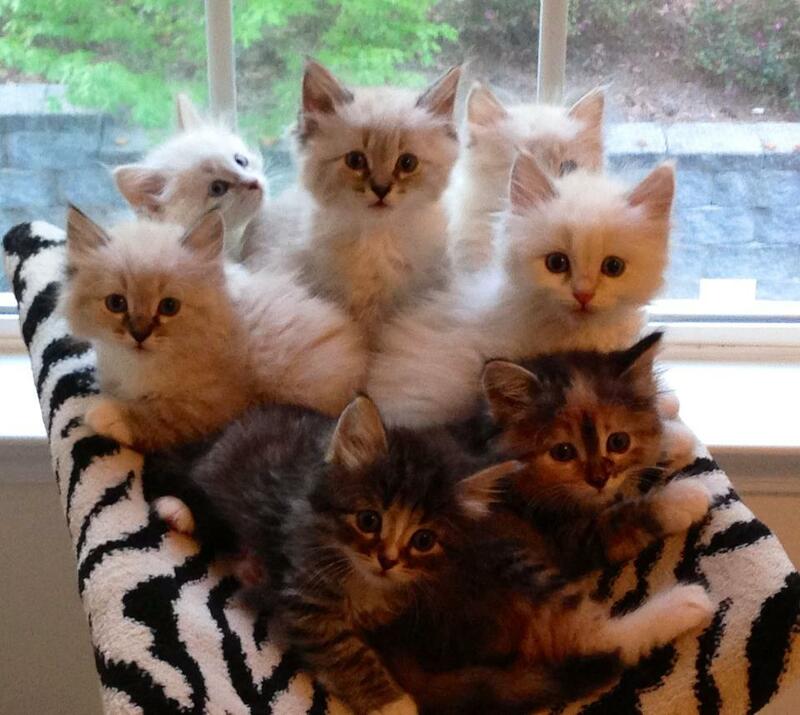 Several litters of kittens available as early as the end of October to the week before Christmas. Red mctabby males, brown mctabby males with and without white, brown torbie females, blue torbie females, black male, and the newest litter of colorpoint kittens with the blue eyes. See all kittens on the web site www.siberian-cat.net located in Georgia can ship to you on Delta. We are USDA Licensed and GA State Licensed.